All of our Light Twisted Wire Dee Ring Snaffle Bits are in stock and ready to ship out. 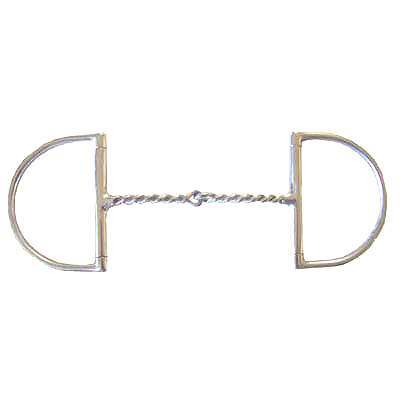 The Light Twisted Wire Dee Ring Snaffle Bit is available in different sizes to fit perfectly. Get your horse the best equipment possible at discount prices. Only the best Horse Dee Bits are sold at Horse Tack Now. Available in: 5'',5 1/4'' or 5 1/2''.